Today, I went to my Dr to treat my case of Runner’s knee. I decided that I was tired of running and feeling like my knee was going to crack open. I rested for a week after my first injury but it keeps coming back. I wanted to get my pain level down to a normal level. I’m afraid that I will have to have an operation on my knee and then my running days will end. Warning: If any doctor tells me that I need an operation and that I cannot run ever again, the whole eastern seaboard would hear me scream. “@#$%!” Just sayin! But I was lucky today (and so was the eastern seaboard). As my Doctor looked at my knee and pressed into it. the pain was evident. I told him about how the pain started. It started when I was walking upstairs and I pushed off with my left foot. It got progressively worse as I trained to where I am now. The knee only hurts when, I am not moving briskly. Walking slowly or taking the stairs hurt slightly. Pressing on it hurts only at the bottom of the knee. 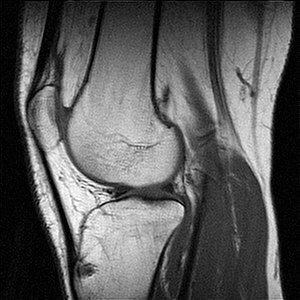 He looked and said, yes you have Patellofemoral pain syndrome (runner’s knee). I asked,” did I tear something? Do I need an operation?” He said,”You may have torn a few tendons microscopically, but that happens with this injury. You can do either physical therapy or this machine EPAT. EPAT stands for Extracorporeal Pulse Activation Treatment. After reading the brochure, I thought about it for a few seconds and said,”let’s do it! I hate physical therapy!” It is used for muscle and tendon pain instead of doing physical therapy. The procedure is moderately priced comparatively, but not covered by most insurance companies. I’m not sure why. It should be, because a doctor is administering the treatment. Here is how the treatment went. I sat on a cushy examination chair with a towel under my knee. The doctor added gel to my knee, then took the wand and pointed it at my lower part of my knee, where the pain was and pressed into it. The wand vibrated very fast and pulsed and gradually got very warm. After the treatment was over, he said,”no ice or anti-inflammatory medication until the treatment is over.” I will be getting 5 treatments from this machine. It was not very painful, but it did sting a couple of times and the wand got very warm. So far, this seems like a good alternative. I have hope for my recovery. To be continued. It’s not really terrible, but it’s annoying enough for me to get help. I will let you know if EPAT works. If it does it may be worth looking into. I hope your knee feels better too. Hope your knee gets better. The wand treatment sounds pretty cool actually – very Harry Potterish 😉 I don’t think mine was as bad. The swelling is gone. I started some gentle yoga the last week and now it seems like the knee is back to normal, albeit a bit stiff in the mornings. Yoga will continue. I haven’t walked for 3 weeks. I’m going to try a short walk today. It does get frustrating. I really want to start interval training, but clearly I need to drop another 50 lbs before I can even try running. Good luck! It’s definitely a process. I hope your knee never gets to this point, but there is a light at the end of m tunnel. It probably will work and I will be joining you in the yoga movements. Good Luck with your weight loss. You look like you are on the right track. Good luck with this new treatment. I hope it helps you to recover fully and soon. I have a different knee problem called chondromalacia patella. I probably didn’t spell it right, but I have it in both knees and have had since I was about 10 or 11. It can cause some pretty excrutiating pain, at times. I’m wondering if this treatment you are doing would help for my condition. Hopefully, you will be back up and running in no time. I get to see my Dr today. I will ask. It seems non invasive, so I am guessing it treats a variety of things that normally would need physical therapy. But it’s best if I ask for a list of uses. I hope your knees can be treated. Just not into pain. Good luck at your appointment. Let me know what you find out, please. I’m always willing to try anything that might help. Living life in so much pain every day is really difficult. I’m really enjoying this blogging because I am getting so much support and getting all kinds of information I never knew existed. Have a great day. By the way, my Doctor said that it would help with your pain. He also said that it would have to be just one part of a larger strategy depending on how severe you are. And as always, you should see someone who is an orthopedic doctor to see if they can help. He is in Sports Medicine as well. If you are in the area let me know, but it should not be hard to find a Doctor who uses this machine. Thank you for asking your doctor about my condition and EPAT. I am in Kansas. I guess, now, I’ll sit back and wait for it to flare up, again, and then check into it. I’m assuming it would be done while I’m having the pain? I have been to physical therapy for several different reasons over the years, and I agree with you, I hate it. It never really seemed to help, either. I’m excited to have this information. I wish you the best of luck and hope this works wonders for you. Keep me posted, if you don’t mind, as I would like to hear how it works for you and hear that you are up and running, again. Trust me, after This is over everyone will be tired of hearing about my knee. LOL! I am hoping it works too. I want to run my race and others this year. Well, I won’t be tired of hearing about your knee. I would seriously like to know if it’s helping you and getting you back on your feet. Now, I have no intention on even attempting to run, but I would be very grateful to be able to continue on walking for several more years. The less pain, the better, right? They are Back… and Better! Disney’s Running Shorts! To Fundraise or Raise Funds, What’s the Difference? 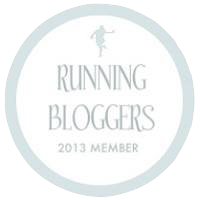 It’s Coming – World Run Day! The ramblings of a runner, one mile at a time.